In this user guide, ApplicationYak is going to share a user-friendly guide about How to Restore iPhone without using iTunes for the iPhone users. Locking up iPhone is really frustrating. This restoring process includes the backup of the apps & apps data, contact, messages and much more. iTunes is undoubtedly useful for the users of iOS. When the device is locked up iTunes can be used to restore data or factory reset an iOS device i-e. iPhone and iPads. 1 Why Do We Need to Restore iPhone Without Using iTunes? 2 How to Restore iPhone Without Using iTunes? 3 How to Restore iPhone Data Without Using iTunes? The first question arises in anyone’s mind could be that under what circumstances we need to restore or factory reset iPhone or iPhone data without using iTunes. Then the answers could be. When the iTunes get fail to restore the locked iOS device. iTunes display errors like 4013,3194, 51 and many others at the time of attempting to restore iPhone with iTunes. When you won’t get any iTunes backup. When you need the partial extraction of many contacts or photos instead of whole iTunes Backup. Facing IOS iPhone Message App Crashing Error. So in this comprehensive user guide, we will share the answers and solution of the following problems. How to restore iPhone without using iTunes? The process is compatible with the following versions of the iPhone. When your iOS device got stuck in the DFU mode, recovery mode or locked after too many wrong attempts of the passcode, you need to recover it from the factory reset. Factory resetting can be done with iTunes. But sometimes iTunes stop working at the time of need. At that time don’t panic, there are alternative methods for you to follow in order to restore iPhone without using iTunes. 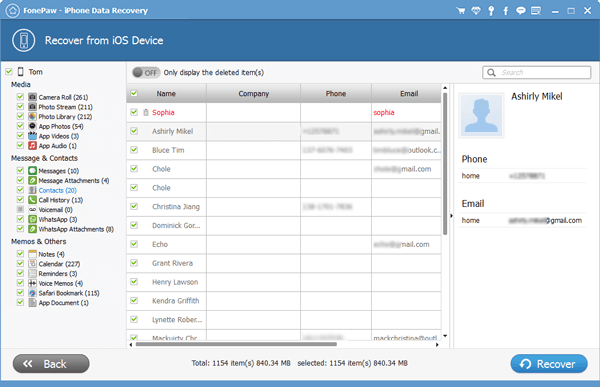 Here we are going to share with you a tested and 100% working method of iOS device recovery. You need to follow the guide accurately and step by step in order to get rid of the above-mentioned problems. 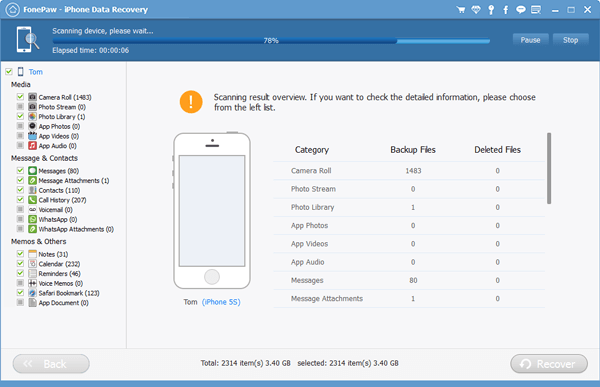 Here we have the complete iOS System Recovery Software for both platforms PC and MAC. You can restore the iPhone without using iTunes either using windows operating system or MAC operating system. 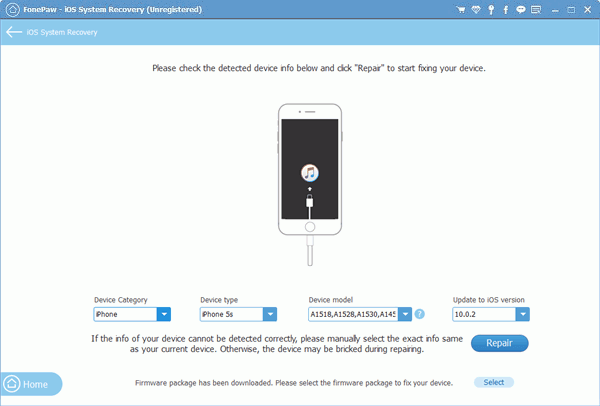 Click on the Download Link given below in order to download the iOS System Recovery Software. Step # 2 – Download the FonePaw Software from the link given below and installed on your PC or MAC. Step # 3 – Connect your locked iPhone to the computer. The system will check either your device is in recovery mode or disabled. If it is in recovery mode then the FonePaw software will automatically detect that the device is in the abnormal state. You just need to click on confirm in order to continue. And if your device is disabled, you need to click on the Advanced Mode to continue. 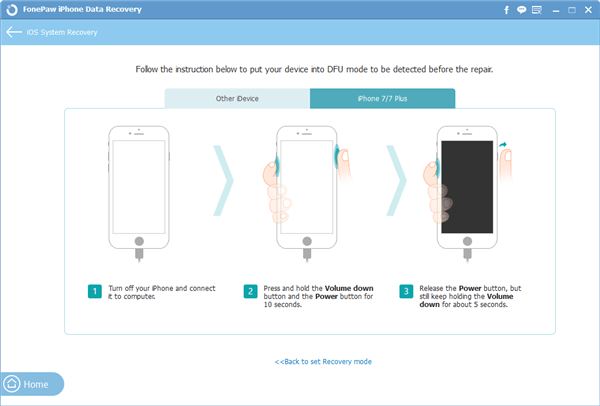 Step # 4 – If in step 3 your choice is Advanced Mode them you need to follow the following instruction to enter your device in DFU Mode or Recovery mode. Note – Skip the step 4 if your device stuck in DFU or Recovery Mode. Step # 5 – Here you need to enter the iOS device information as shown in the image below. 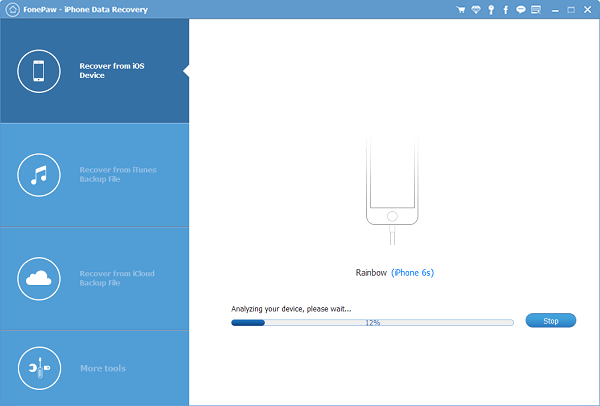 Step # 6 – Final Step to restore iPhone without iTunes – Click on the Repair Option. The FonePaw software will automatically download the suitable firmware for you according to the provided information and start to restore your iPhone. That’s all! Congratulation you have done the process of restore iPhone without using iTunes. Enjoy the unlocked iOS device. How to Restore iPhone Data Without Using iTunes? We have clearly described the tested and 100% working methods of restoring iPhone if locked. Now we at ApplicationYak going to share with you to restore iPhone Data without using iTunes. If you have accidentally deleted the crucial data of your mobile like photos, video, SMS and contacts than FonePaw iOS Data Recovery can restore the lost data without iTunes. Step # 1 – After downloading and installation of the software launch it on your personal computer. Connect your iPhone to the computer COM Port through USB Cable. Then you need to select the recovery mode “Recover from iOS Device” and then start scanning your device through click on the button “Start Scan”. Step # 2 – Once you clicked on the Start Scan button your iPhone data will start scanned automatically by the program. You can pause or stop or resume the scanning process anytime. Step # 3 – After some scanning, you will see all files are listed in certain categories. You can select videos, contacts, camera roll, notes or any specific data. You just need to scan the device deeply or you can make choice in restoring data. You can check the boxes of thing you want to get. Once you checked the items click on the “Recover” button and save thing to your personal computer. Finally, we have done a complete user guide about How to Restore iPhone Without Using iTunes and How to Restore iPhone Data Without Using iTunes. 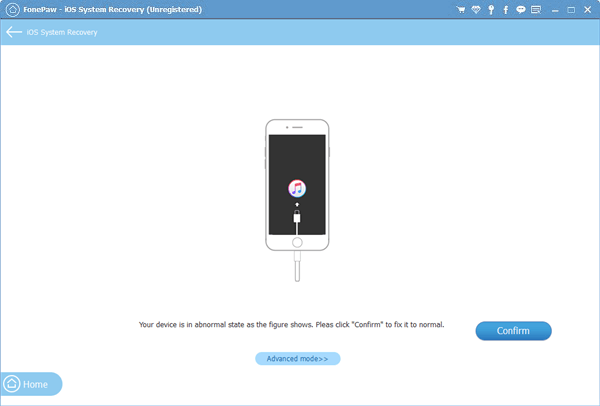 Now, we hope you can restore your iPhone yourself if iTunes factory reset not work for you. If you find it useful for you kindly share your valuable feedback with us through comments given below.